STRANGFORD MP Jim Shannon speaking at Westminster after the Fisheries debate last week in the run up to the crucial EU Fisheries Summit in Brussels where the fishing opportunities are set in tablets of stone for the coming year, he said he fully backed the Northern Ireland fishing industry. Jim Shannon MP has called for a better deal for fishermen over the handling of cod discards. 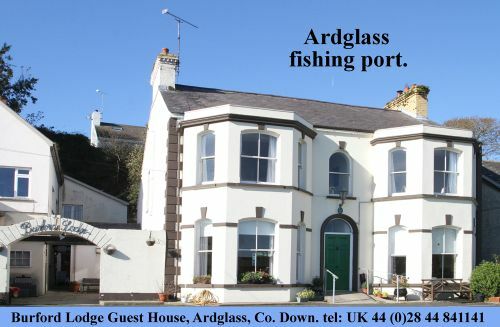 The other fishing ports of Ardglass and Kilkeel are too closely bound by the decisions to be made in Brussels at the Ministerial Summit and are a key part of the East Down coastal economy. Mr Shannon added:”We cannot afford reduced catching opportunities for prawns, when a valuable part of the fish by-catch has been voluntarily surrendered. The Irish are already borrowing from their 2013 quota, so for them any reduction would be devastating. “I also spoke on the Cod Fishery and there is agreement that we must break the cycle of decline in the scientific advice for the cod species. The industry proposed ‘quota fund’ would start to address this problem. There should be recognition for the efforts made by local fishermen in adopting measures designed to avoid cod. 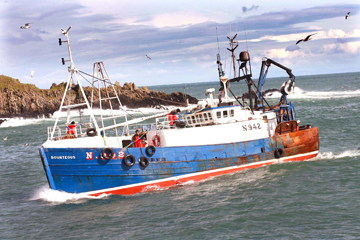 And also on Haddock, the Commission propose a 25% cut in the Total Allowable Catch (TAC). In the absence of a scientific recommendation the proposal seems to be based on the ‘use it or lose it principal’. Again, the UK’s position on this is clear – we need to oppose it. “In addressing the matter of the Common Fisheries Policy with special reference to fish discards, the latest draft of the European Parliament’s report into the new CFP (which will be voted on on the 18 December in the European Parliament), one amendment does seem to inject some realism into the process. This recognises that when they are discarded some species have a high survival rate and therefore ‘discarding’ for such species should be allowed to continue. “This is a step towards answering the question as to what is a discard? Again, the industry does not oppose a discard ban, but such a policy must reflect and consider the practical implications. I support regionalisation and look forward to it coming to Northern Ireland. I hope that we can make it work: I believe we can. It will be a significant help for us and our industry. “As I have told UK Fisheries Minister Benyon we need to ensure that the decisions on the MEP’s include protection for the fishing industry and the boats and for a sustainable industry in future. We will meet the Minister on 17 December, before he goes to Brussels, and we will have an opportunity to put other proposals forward through Diane Dodds MEP and our local representatives. The battle for our fishing Industry continues and I with all my colleagues will continue to fight this at each and every opportunity,” added Mr Shannon.